This shrub has opposite more or less sessile leaves which have 1-4 teeth along each side. 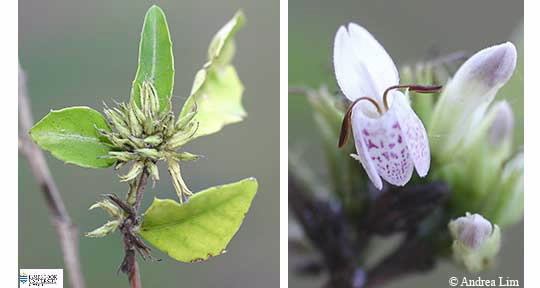 Flowers are bilobed and the corolla tube tends to be reddish with spots and the lobes whitish with red to purple spots. Fruit is a capsule to 2 cm long.